New York Irish Arts is a group of writers who are passionate about Irish and Celtic arts. The group is made of performers, musicians, actors, authors, and journalists. 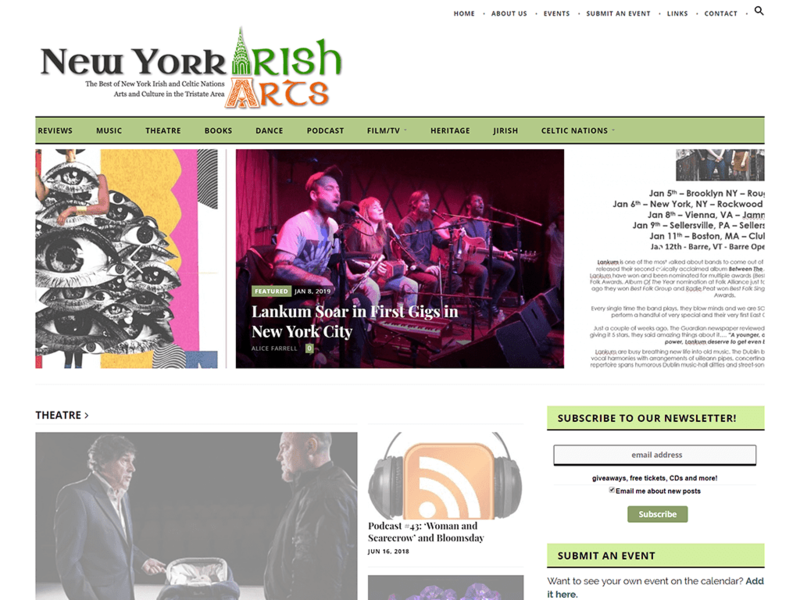 New York Irish Arts joined the CourseVector family because they needed fast, dedicated hosting to keep up with their website’s visitors.